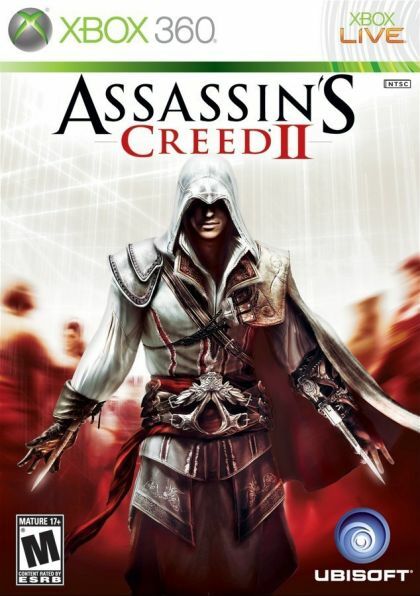 Assassin's Creed 2 retains the core gameplay experience that made the first opus a resounding success and features new experiences that will surprise and challenge players. Assassin's Creed 2 is an epic story of family, vengeance and conspiracy set in the pristine, yet brutal, backdrop of a Renaissance Italy. Ezio befriends Leonardo da Vinci, takes on Florence's most powerful families and ventures throughout the canals of Venice where he learns to become a master assassin. Ezio Auditore da Firenze is a young Italian noble who will learn the ways of the assassins after his family was betrayed and he looks to seek vengeance. He is a lady's man, a free soul with panache yet has a very human side to his personality. Through him, you become a master assassin.